To sort or not to sort, that is the question. Lots of people wonder whether it’s really worth their time and effort to separate, wash and store recyclable materials – especially if it takes more energy to recycle, or if the plastics sent for recycling end up in overseas landfill. The truth is, the issue is complex, and even experts can’t agree on the economic and environmental benefits of recycling. There are four popular arguments, typically used by organisations and individuals to promote recycling: that it reduces landfill waste, that it saves public money, that it creates jobs and that it encourages consumers to reduce waste in the first place. Let’s consider each of these in turn. Images of putrefying waste in landfill sites, generating greenhouse gas emissions and polluting the environment, are one of the most compelling reasons for recycling. The 1999 European Landfill Directive set targets to reduce biodegradable waste, and in response the UK government increased tax on landfill disposal, introducing an escalating duty, which currently sits at £88.95 per tonne. Then, in 2003, the Waste and Recycling Act established kerbside collection of recyclable materials. Rising levels of recycling and incineration, as well as the escalating landfill tax, have certainly reduced the proportion of waste dumped on landfill sites in the UK. But the National Audit Office revealed that some of the plastics that residents separate for recycling are being exported overseas, to places such as Malaysia and Vietnam, where there are insufficient checks to ensure this material is actually recycled. The industry is also facing investigation for fraud and corruption, over these matters. So it could be that millions of tonnes of UK recycling is simply ending up in landfill in other parts of the world. Read more: China bans foreign waste – but what will happen to the world's recycling? Part of the problem is that there are limited facilities to recycle mixed plastics in the UK. It costs a lot of money to separate and recycle different types of plastic, using specialist machinery. But there is infrastructure for plastic bottle recycling in the UK, which is why many council schemes historically only collected this type of plastic. It costs a lot of money for local authorities to manage household waste. Disposal facilities owned by private companies, such as Veolia and SITA, charge local authorities gate fees per tonne of waste - around £107 per tonne for landfill and £86 per tonne for incineration. Local authorities in England produced 22.4m tonnes of waste in 2017, of which 45% was recycled – so that’s a lot of money saved. Variations in collection systems across England and in material streams (such as paper, glass, cans) make it difficult to predict the cost per tonne of recycling, but it does cost significantly less than disposal, because the material can be sold. Aluminium cans are one of the more profitable materials in your waste and are sold by local authorities or waste contractors to be melted down and made into new cans. In the UK, campaigns such as Recycle for London’s Nice Save use a moral message to emphasise the savings that local authorities can make when people recycle. But this is partly because laws such as the landfill tax have made recycling the cheaper option. The prices of different recyclable materials can fluctuate, which can limit the savings made. But this depends on the contracts local authorities strike with private waste management companies, and who takes on the risk. In any case, UK citizens might wonder why taxpayers foot the bill for recycling, when in other parts of Europe producers are responsible. The government’s new waste strategy for England does include plans to extend responsibility for packaging to producers, by introducing a deposit scheme for bottles and asking producers to pay to cover the cost of recycling. But it’s not clear how this will work with existing private waste contracts. The charity Green Alliance claimed that recycling and reuse could create over 200,000 new jobs in the UK. Compared to disposal, recycling does create jobs, because waste sorted by consumers provides feed stock for an economy in global materials. How consumers sort their waste – whether in one box or separate boxes – leads to different supply chains and labour processes. For example, if you’re putting all of your dry recyclables into one box, these materials will need to be taken to a special facility that employs people to sort them by hand, alongside machine processing. Many jobs in the recycling industry are low skilled and dirty work. They are often performed by migrant labour, or within the precarious informal economy overseas. Yet there are also mid-skilled, professional jobs – such as public and private waste service officers, who manage and supervise operations – and these opportunities will grow if the government creates incentives for producers to use recyclable materials, or invests in systems to promote reuse. There are, of course, more effective ways of dealing with waste than recycling. Reusing, reducing and preventing waste – for example, by choosing products that are less packaged, refusing disposable coffee cups or buying secondhand – are all better options. 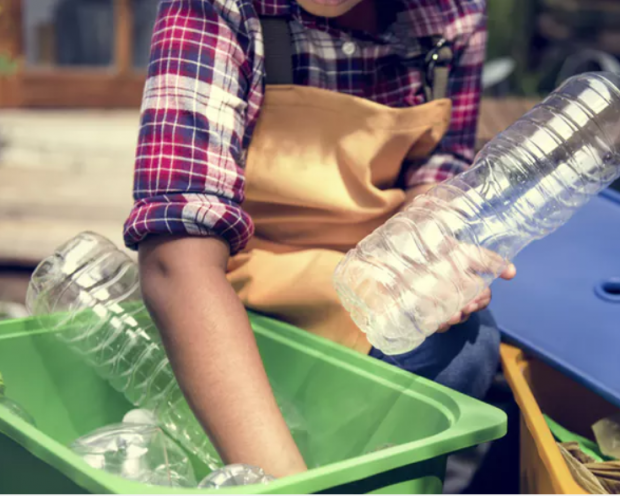 Environmental organisations and influencers have targeted keen recyclers with this message, in the hope that they will take further steps to live more sustainably. But there are only limited changes a person can make to their shopping habits, in a marketplace where packaging is embedded within infrastructures of provision. So responsible waste management is really a responsibility shared between governments, producers, local authorities, waste companies and citizens. In particular, the companies that create the materials that become household waste have huge power to reduce it. On the whole, it probably is worth the effort to sort your waste, despite some problematic practices, because recycling does drive down the amount of waste going to landfill and demand for recycling services will help drive improvements and oversight. There’s still a long way to go, before the UK can manage its waste sustainably as a society – and it’ll only get there if governments and citizens keep up their efforts to improve this process.